The Dutch Card Guy: Redemption package & a Bonus !! Redemption package & a Bonus !! So today I came home from a long day at work to find a nice FEDEX package !! A Fedex package for me usually means only one thing: a Topps Redemption !! The last redemption I put into the system had already been months ago, if not longer so I was curious to see which card this might be. 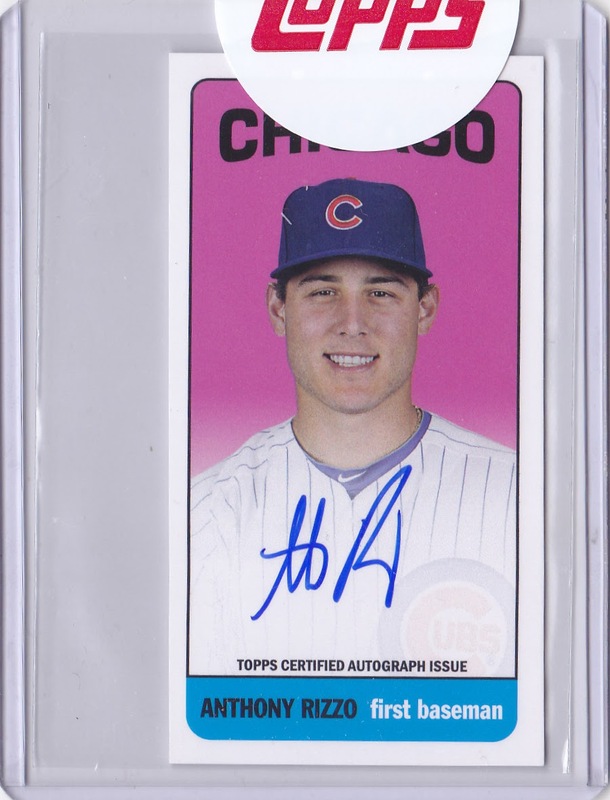 Opening up the envelop a Rizzo card surfaced !! Wow, that one took a few years to arrive. This card is from the 2013 Archives set and is numbered to /25. Yes, you read that correctly, 2013 !! He probably signed hundreds and hundreds of cards in the years thereafter. Nevertheless, I am very happy this one arrived !! But wait, that's not all ! A second card surfaced !! Unexpectedly !! Yes, it's a Kyle Tucker card !! Who ??? Yes, that was my reaction also, never heard of ths guy I must admit, a Astros Outfielder. Anyways, I happily take it !! The card came with an apology from Topps for the long wait (since 2013) so I was positively surprised, thanks Topps !! 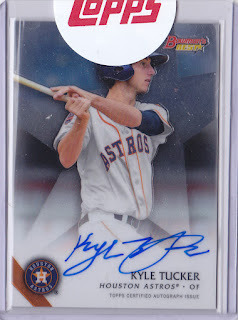 Of course the Kyle Tucker card is for trade (or sale) and let me know if you did know him already ! Great looking Rizzo! Nice that it finally got filled after so long. Ooooo I like the Tucker! I guess it's worth waiting for a Rizzo. That Rizzo is sweet... but who the tuck is Kyle Tucker? Nice! Tucker's got lots of potential, too. Supposed to be even better than his big bro Preston. Hi, you guys! Would you like to play this…? This is a blog about baseball card collecting from Holland, a hobby which is both fun as well as a challenge when doing it from Europe. Married with 2 kids, I collect Yankees and great pitchers like Glavine, Blyleven, Rivera, Sabathia, Kershaw & Verlander.